You're moments away from signing the deal on the home of your dreams. Documents are pushed in front of you to be signed. Among the papers are the deed and mortgage. Before you sign, know the difference between the documents. Although both the deed and mortgage relate to owning the home, one creates ownership of the property, and one creates a lien against the property. A deed is a "legal document that transfers the ownership or title to a property.” The ownership of the property is transferred when the deed is signed, notarized and recorded at the appropriate government office where the property is located. The deed document includes the buyers, the sellers, the date the document is signed and the description of the property. A deed can also include other information, such as easements, restrictions and prior deed information. A mortgage is a "loan using your home as collateral.” The mortgage document is the financial agreement between the homeowner and the bank or financial institute extending the loan. In general, the mortgage document includes the bank or financial institute that is lending the money, the property owners who are accepting the loan, the amount of the loan and a description of the property that the lien is being placed against. The real estate deed and mortgage are distinctly connected. A property owner must have a legally signed and notarized deed before she can take out a mortgage on the property. The deed must be signed, notarized, dated and recorded either before the mortgage or at the same time, but the deed must be recorded first. A mortgage can be taken out on the property at any time after there is a legally signed and recorded deed. What Documents Can Prove Land Ownership? 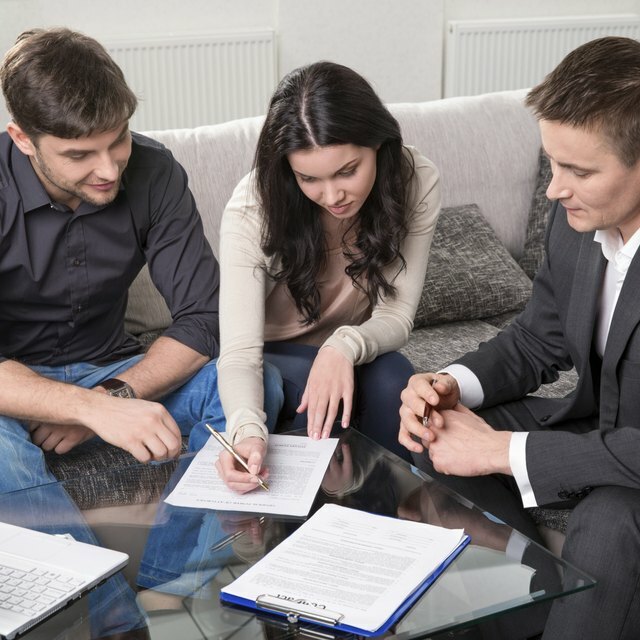 Although deeds and mortgages are different documents, they share some similarities. All owners of the property who are on the deed must be on the mortgage. Both documents require original signatures that have been properly notarized. A legal description of the property must be on both the deed and mortgage, and the descriptions must match. Both documents are recorded in the county clerk's or registrar's office in the county or town the property is located. Living in Upstate New York, Patricia Pratt has been writing about the Albany area real estate business since 1999. Her column "Random Recollections of a small town Abstractor" appeared in "Title Technology Today," a/k/a "Settlement Services Today." She has more than 16 years experience in the title insurance business.